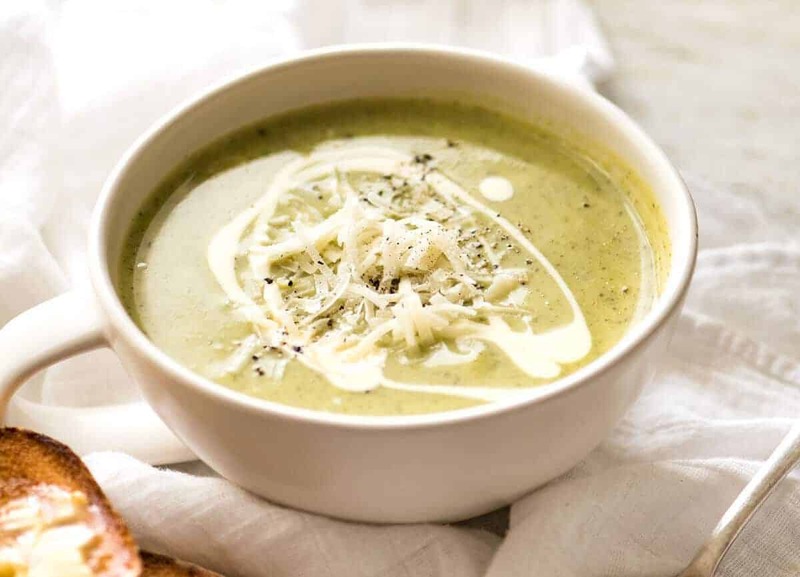 You don’t need loads of cream to make a Creamy Zucchini Soup because the natural texture of cooked zucchini blends into a thick, silky soup. 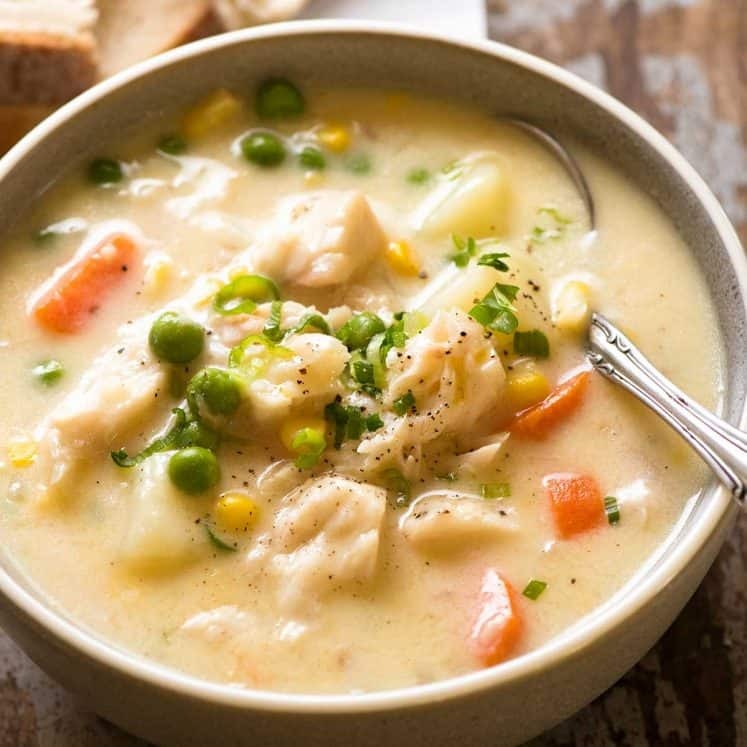 This is a bowl of goodness to warm your soul, it’s ultra tasty and yet only 220 calories for a big bowl, or 98 calories if you skip the cream! Have you voted, have you voted?! Voted for the next free eCookbook, that is! I was just going to make one and surprise you with it, but it seemed silly to go to that effort without at least asking for your input. 🙂 Here’s the poll again – it’s the same as the one in the Sausage Pasta from Monday when I launched the poll so there’s no need to vote again…. but no one is stopping you! Now – let’s talk SOUP. 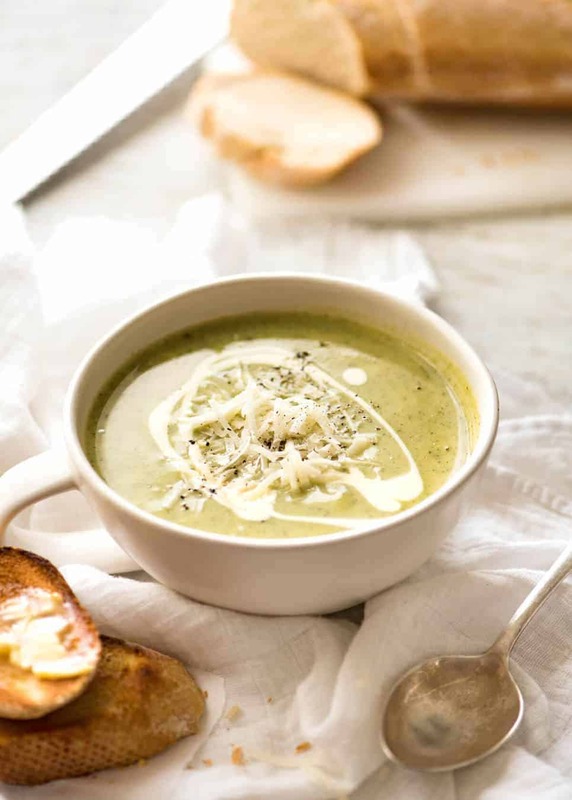 Specifically, Creamy Zucchini Soup. A HEALTHY one. 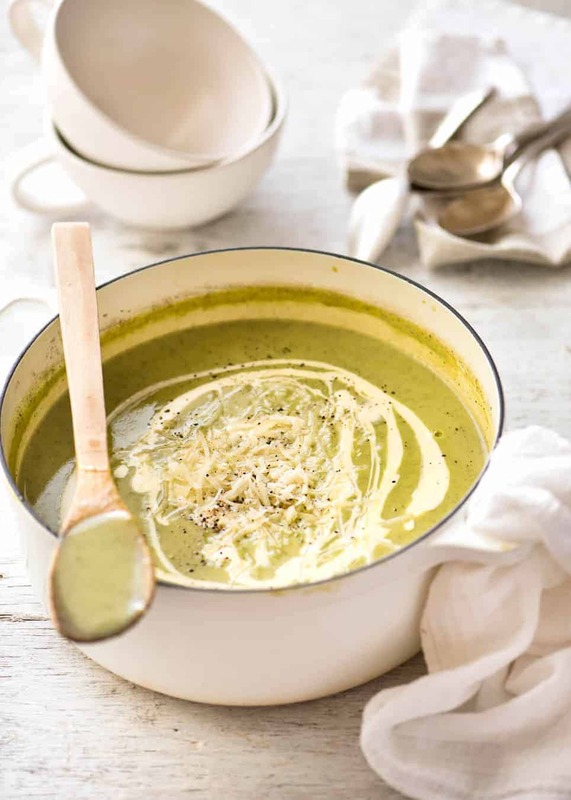 I haven’t deliberately made this healthy, this is simply the way I make Cream of Zucchini Soup. And in fact, there’s a good glug of cream stirred into the soup at the end. Which you can afford to do because even with the cream, it’s only got 220 calories per serving – for a big generous bowl. And without the cream, it’s only got 98 calories a serving. Crazy, huh? And you know, yes I’m an advocate for adding a splash of cream into the soup (or butter! ), but even without, this is a really ultra tasty soup. Let’s take a good look at the star of this recipe. Zucchini. LOTS of it. 1 kg / 2 lb to be exact. Once cooked until soft, zucchinis whizz up into a silky, smooth, thick soup. No roux, no potato, no cornflour, no thickeners required. The cream stirred in at the end isn’t for thickening, it’s for flavour. This recipe makes a pretty big pot of this soup. In fact, it will serve 5 comfortably, or 4 with big appetites. I always make a gigantic pot because a) it freezes well; and b) this is my “go to” recipe when I load up on bargain zucchinis. I picked up 1 kg / 2 lb for a mere $1.99 from Harris Farms last week and had basic homemade vegetable broth made from offcuts so in all honesty, this entire recipe probably cost me $4 to make. PS Little tip for a basic “mash up” homemade vegetable broth – I don’t have a composter or chooks (that’s “chickens” in Aussie speak) so what I do is shove all veggie offcuts in large plastic bags and store them in the fridge. For a 4 litre/ 4 quart pot, I put in 6 cups of water then jam pack it (and I mean press it down good) with veggie scraps & sad floppy herbs, a quartered onion, 3 garlic cloves minced, big pinch of pepper and 2 bay leaves. Simmer away for 40 minutes – 1 hour lid off, reducing it right until I have 3 cups of liquid (strained, squeeze out liquid from veggies. Pretty much everything goes into the offcuts bag, even onion skins, dirty potato skin, the dirt coated roots of things, even corn cobs after I cut the corn off. If you have lots of dirt coated things in your stock, just let it settle then pour off the top, avoiding the bits at the bottom. 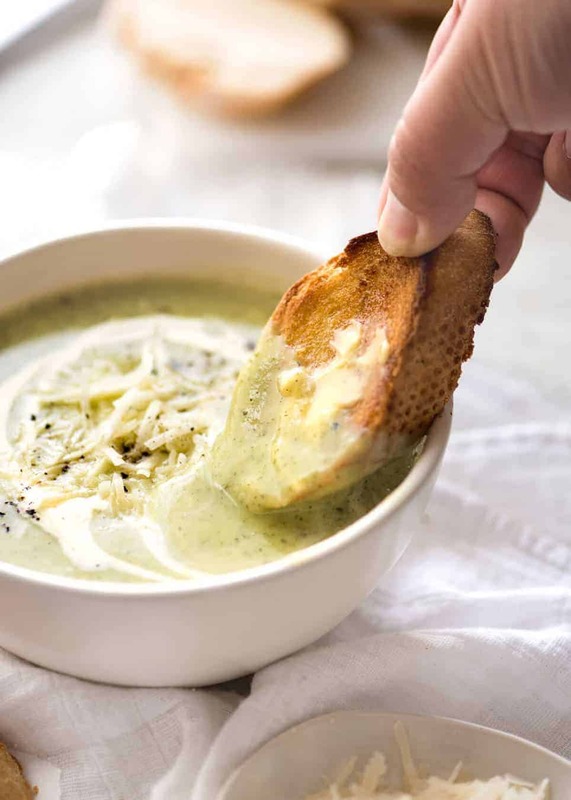 You don’t need loads of cream or even a roux to make a creamy zucchini soup. The natural texture of the zucchini flesh whizzes up beautifully to be a silky, creamy texture. It’s well worth the extra few minutes to saute onions until golden for the extra flavour it adds. 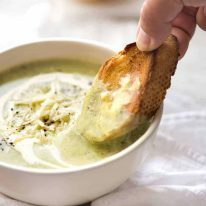 Topping the soup with a pinch of parmesan is a great finishing touch, otherwise try croutons, finely sliced basil or other herb. Heat oil in a large pot over medium high heat. Add garlic and onions, and cook for 3 - 4 minutes until they are light golden brown. Add zucchinis, broth and water. Bring to a boil, then cover and reduce heat to medium. Optional: Scoop brown foam (scum) off surface every now and then. 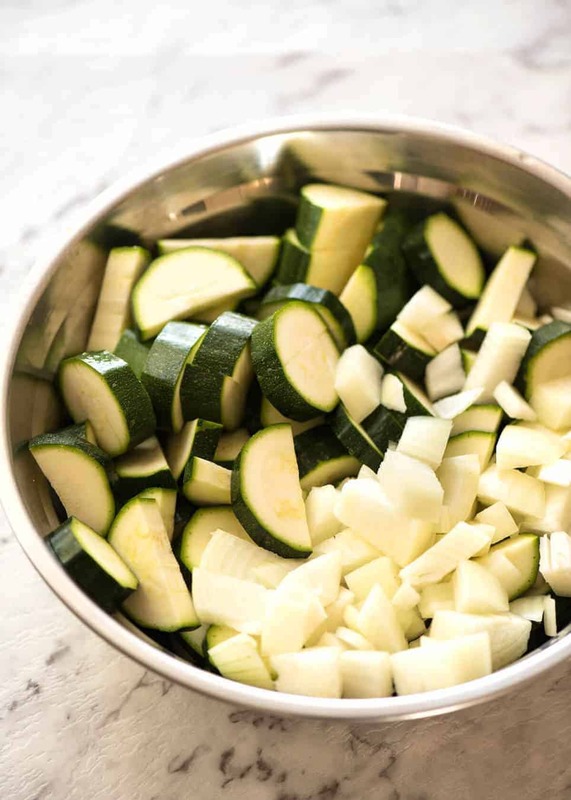 Cook for 15 - 20 minutes or until zucchini is very soft. Stir through cream and milk. Add salt and pepper to taste. Ladle into bowls, swirl over a touch of cream if desired, a pinch of shredded parmesan, and more pepper. Serve hot or at room temperature. 1. Known as Courguettes in the UK and some parts of Europe. You will need about 6 medium ones (about 20cm/8" long, 4cm / 1.5" wide), or 8 small ones, or 4 - 5 large ones. 2. The cream adds a touch of richness to an otherwise very healthy soup. Feel free to use a low fat cream if you prefer, or creme fraise or mascarpone. Or even a good knob of butter! 3. BLENDER: To use a blender, you must cool slightly before whizzing otherwise the heat will expand, the lid will blow off and you’ll get soup EVERYWHERE – trust me, I’ve made this mistake and it will even get on the ceiling! Whizz in 2 or 3 batches then return to pot. 4. 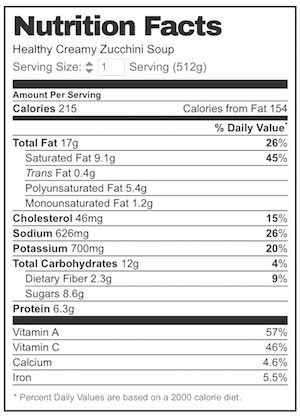 Nutrition per serving, assuming 5 serving. Excludes cream garnishes, bread etc. If the cream is omitted from the recipe, it reduces to 98 calories per serving. Healthy Creamy Zucchini Soup recipe video. Dozer fans – don’t miss his cameo at the end of the video! 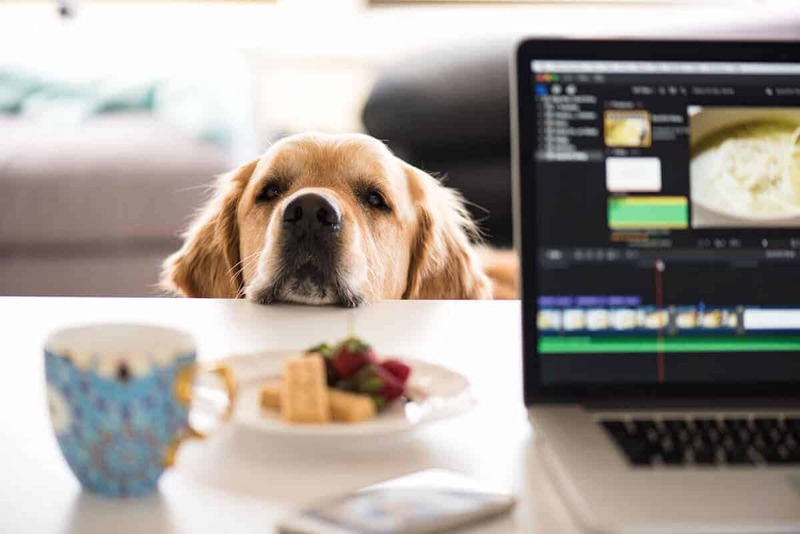 I gasped out loud with disapproval…..
It’s really hard to concentrate on my computer when that face is shoved in front of me like that. 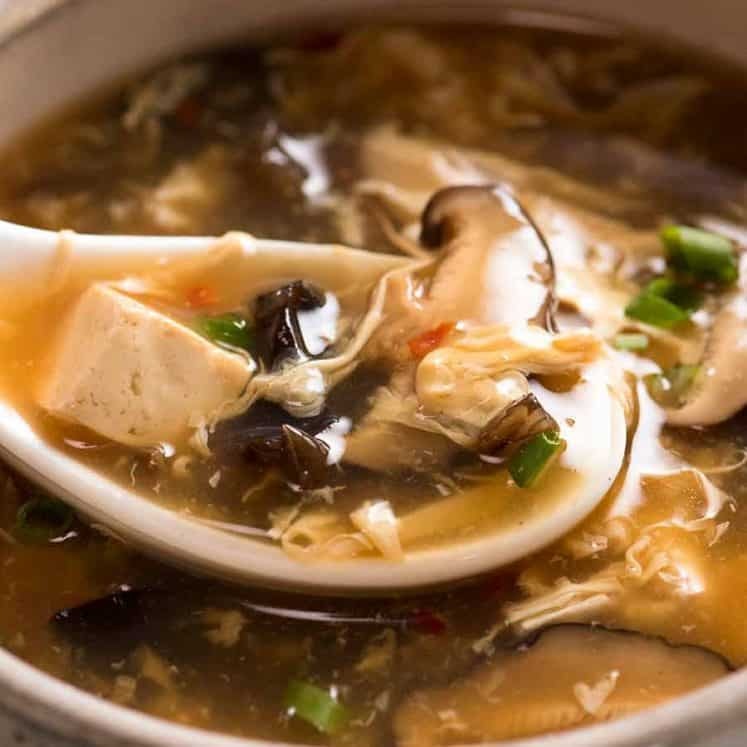 Made this tonight and my husband said that this is one of the best soups he has ever had and that it actually reminds him of one that he had at Tetsuya’s Restaurant. This was delicious!! I had some celery in my fridge I needed to use up, so I added about 3/4 cup chopped celery to the onion and garlic mix to soften along with them. I ALWAYS use more garlic than what a typical recipe calls for, so I used about 5 or 6 cloves all together and it was just perfect. My husband loved it and so did I! I am posting it at our farm gate sales stand today for others to make it with fresh zucchini and enjoy. Thank you. Hi Nagi , chicken broth is chicken stick the same thing? So good! I didn’t have cream on hand so used nonfat plain greek yogurt instead and it was still great. Sounds amazing! 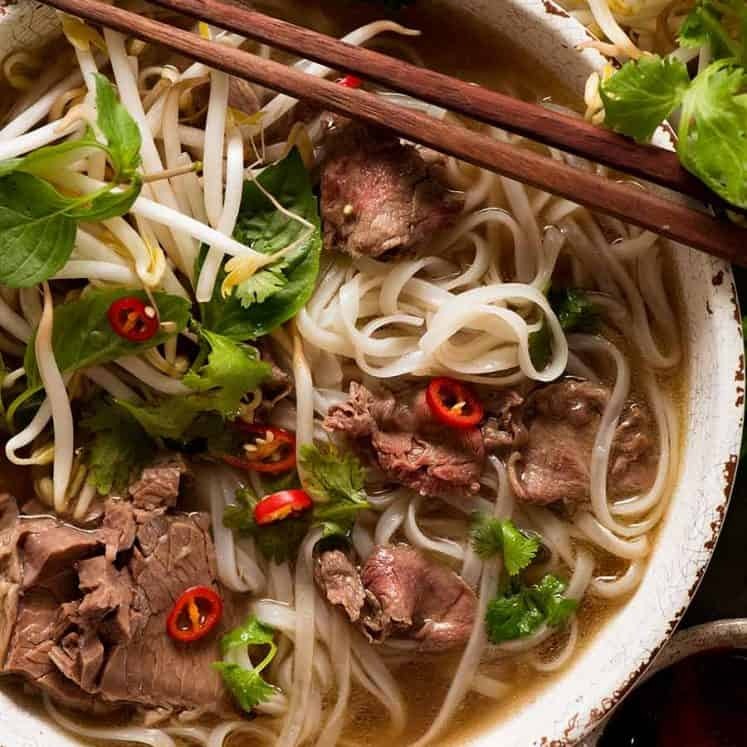 Would it be possible to freeze this soup? Yes! This one freezes great!! Do you freeze it bedore or after adding the cream and milk?